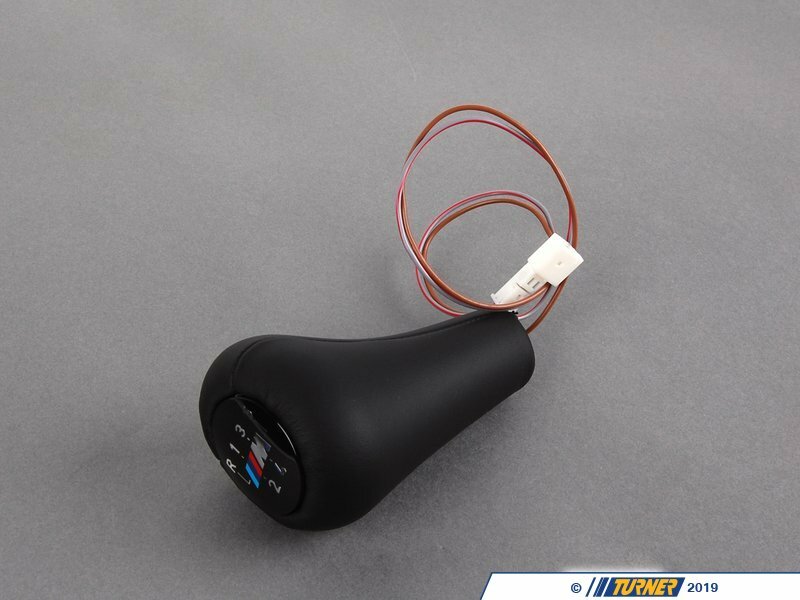 An Original BMW Part. 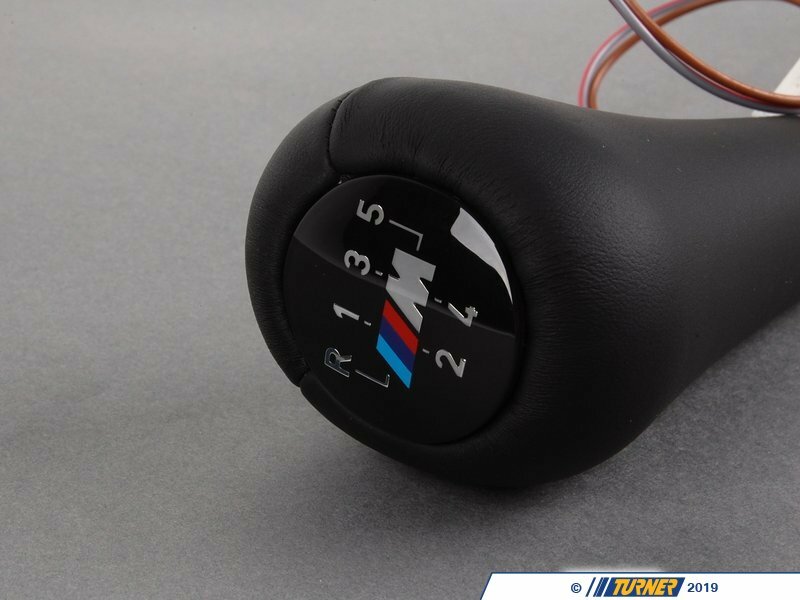 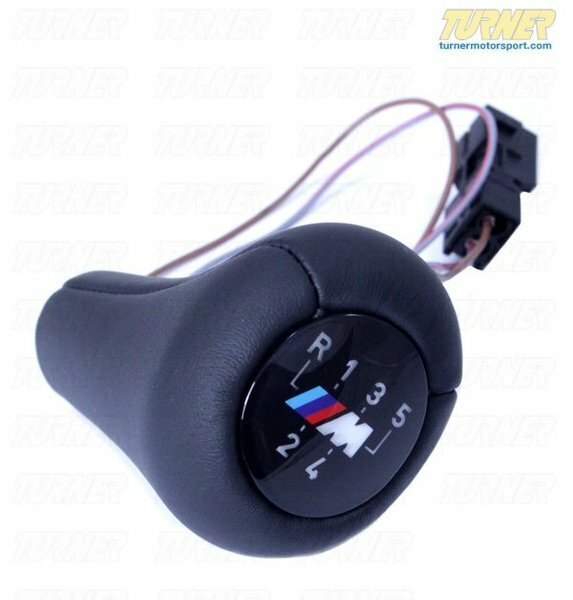 This leather shift knob with M Stripes and 5 speed pattern connects to the factory wiring harness. 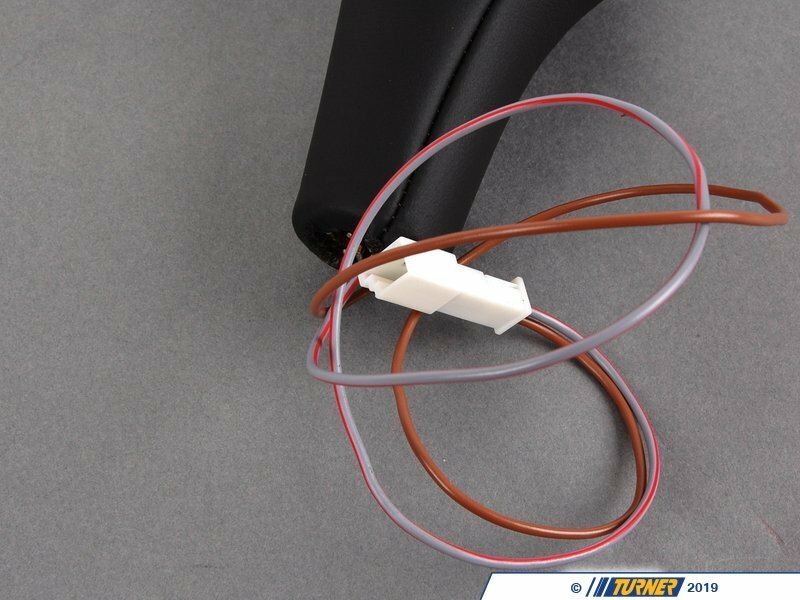 Complete kit includes wiring harness and installation instructions. 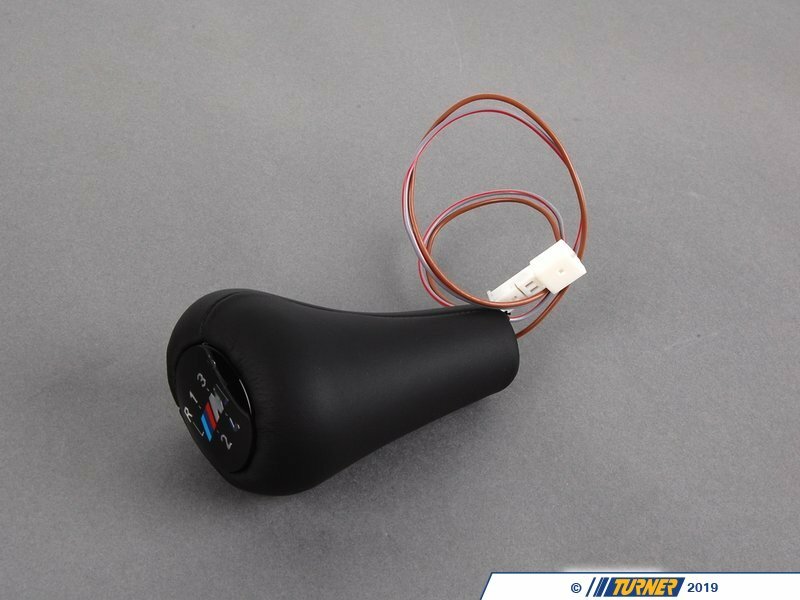 Red illumination matches the interior lighting and dims with dash illumination.